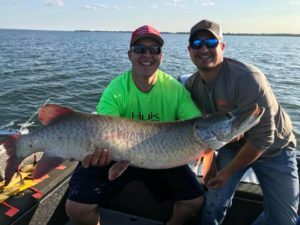 Fall Musky fishing is finally here on Green Bay! Fall is finally here! At least on the calendar. The water temperatures and the heat this month wouldn’t let you know it, but we are almost to the end of September. This late summer and early fall has been unseasonably warm, leading to warm water and inconsistent patterns. That aside, there have been some great fishing opportunities. 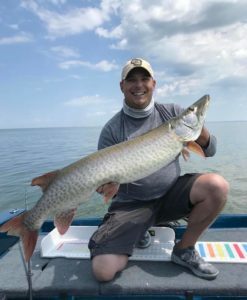 One of the highlights of the season for me was friend of Angler Sportfishing Tyler Rovinski getting his first big casting musky on Green Bay. 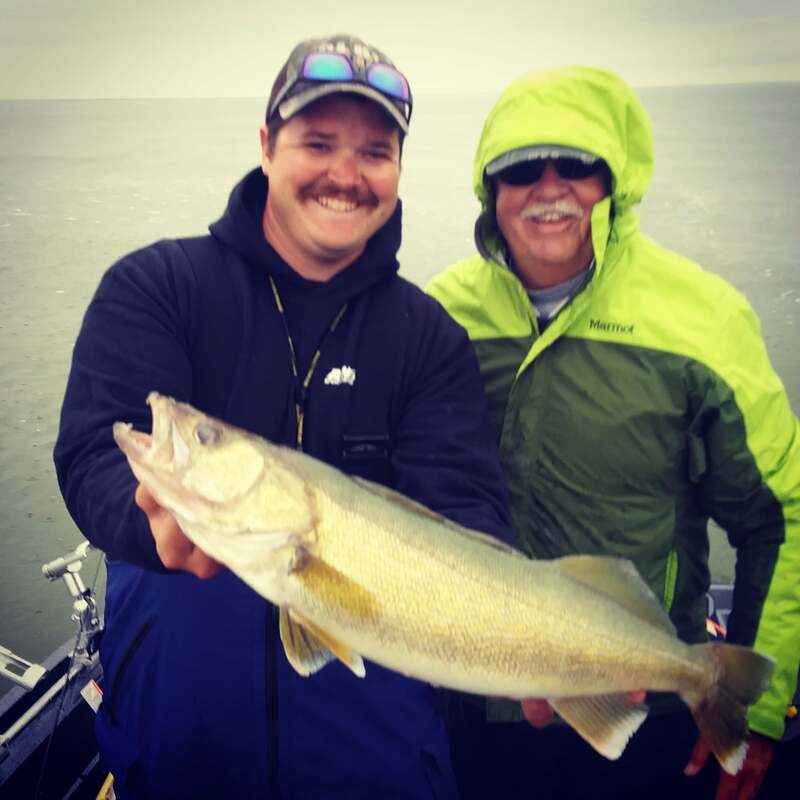 Tyler is a guy who has put in a ton of time chasing these fish and to be there to net his first big Green Bay fish was a true honor. Another highlight for me was hopping in the boat with friends Tim and Jeff Lautenslager to promote an upcoming fishing tournament on the news. We caught a 45.5″ a musky in under an hour with the news cameraman on board. To have such a limited time with the camera man and to catch a great fish like this was truly a special experience. This fish was caught trolling a bucktail. 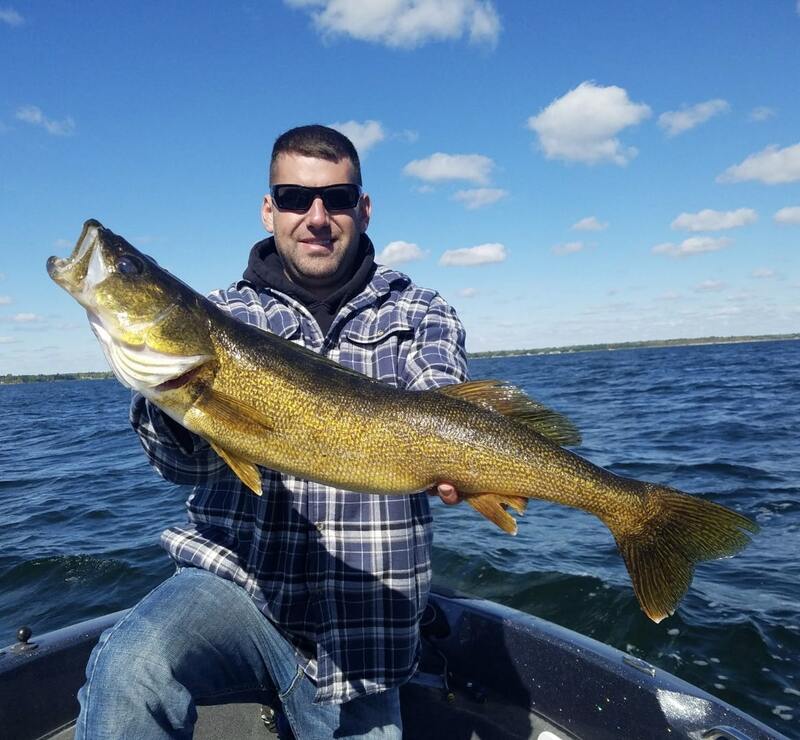 Lastly, this past week I had a walleye trip booked with some young clients from the Horicon area. 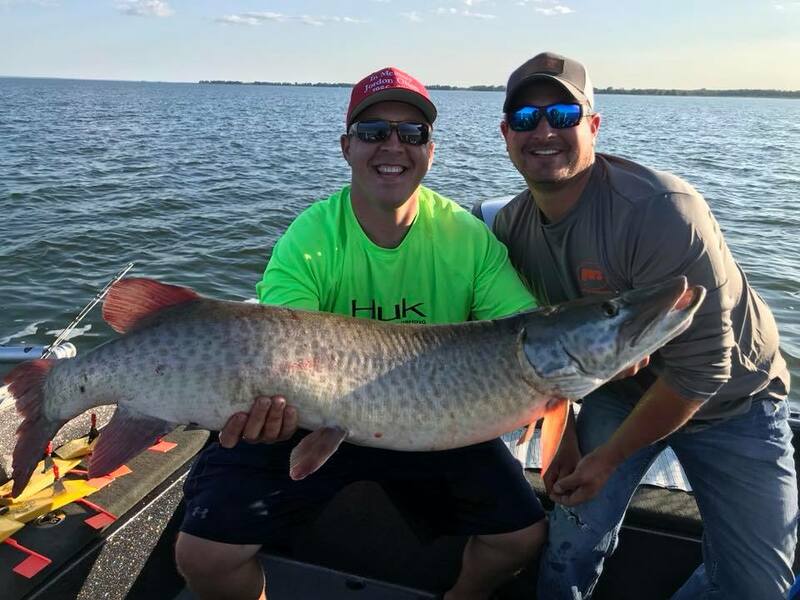 These boys wanted to catch some walleyes, but half way through the day we switched gears and went for muskies. 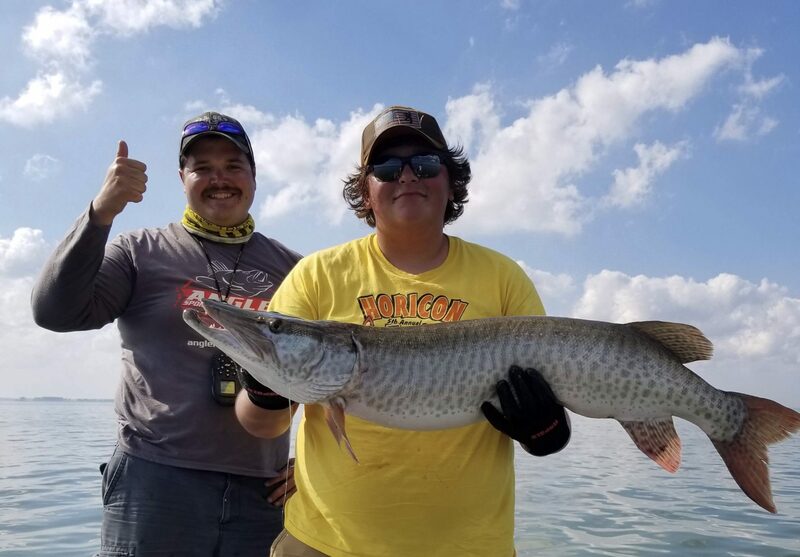 Nicholas Pilsner got a new Personal Best musky by over 12 inches and the boys had their first Green Bay Musky experience. To say they were excited is a wild understatement I’m sure these boys will be back for more. This fish is pictured at the bottom of the page and was caught trolling a Tyrant Raz Shad. In the last few days it has finally started to feel like fall and I think the best musky fishing will be yet to come for this year. I am excited to be fishing the upcoming tournament with Kyle Hunsader again this year and I’m hoping some big fish get caught. There have been some very nice walleyes hitting the bag as well in the last week. Here are Tom W. and Pat P. with a couple of dandies. Angler Sportfishing has several openings in October so give us a call for your chance at a big fall fatty. Copyright © 2019 Angler Sportfishing Guide Service. All rights reserved. Website by Valley-Technologies.